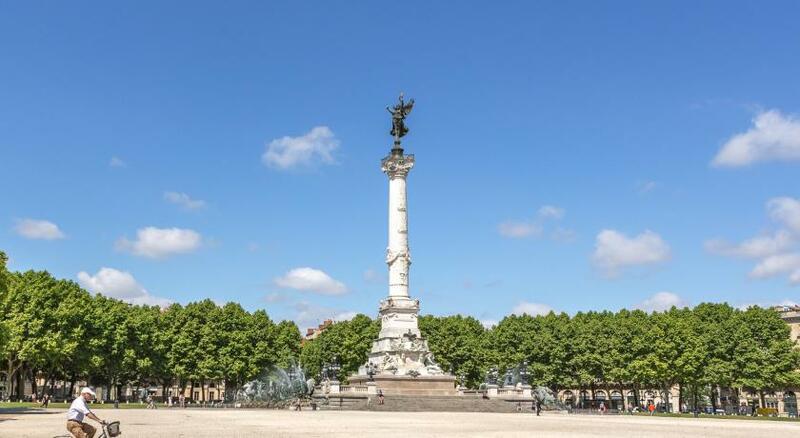 Lock in a great price for Le Boutique Hotel Bordeaux Centre – rated 8.8 by recent guests! Very comfortable room, bed & bath! Loved the common spaces. This staff is amazingly helpful. My sister and I stayed here a few nights and needed some last minute recommendations on renting a car and taking a day trip to Arcachon (45 minutes away from Bordeaux.) Not only did they provide us with a closer rental car place, they also gave us tips in the area to hit up a really swanky hotel with a beautiful view of the ocean for drinks. Tres chic. The staff also helped plan our wine trip to the Medoc on very short notice. Cheese plate at the wine bar was great, room was extremely comfortable, clean and LARGE! Though I couldn't figure out how to use the jets in the jacuzzi tub, I did enjoy the Hermes soaps and soft robes. Would recommend. We loved it. The staff was so nice. The room was fantastic. The bathroom and shower were really nice and the set up was cool. It was really comvenient to everything we did. Location, location, location with pure comfort added in. Excellent staff making you feel most welcome. I loved the entrance with welcoming staff who went out of there way to be helpful. Very friendly staff who did their best to be helpful. Excellent comfortable bed, nicely decorated room. 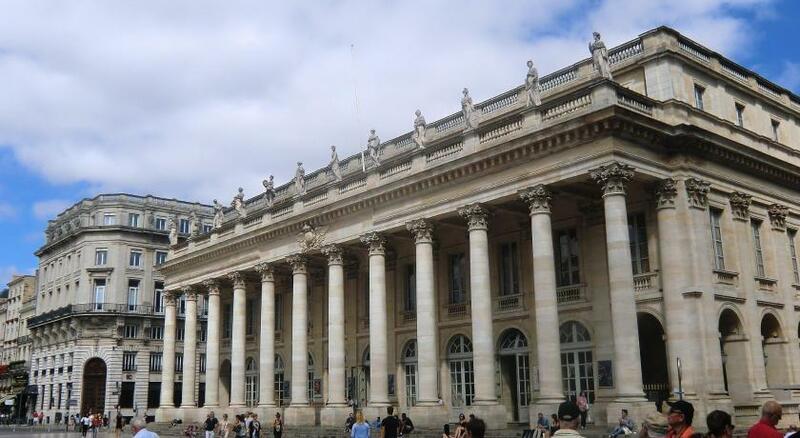 A spa center and Place Gambetta are both just a 1-minute walk from the hotel and Quai Louis XVIII is half a mile away. Guests receive a discount at the public parking area which is 650 feet from the hotel. When would you like to stay at Le Boutique Hotel Bordeaux Centre? This modern room has a flat-screen TV, an iPod dock and a Nespresso coffee machine. The bathroom area is equipped with a walk-in shower. This more spacious room has a walk-in shower or a spa bathtub. A Nespresso coffee machine is also provided. This larger suite has a king size bed, an iPod dock and an LCD TV. The bathroom is individually equipped and a Nespresso coffee machine is also provided. Some of these suites has a round spa bathtub. This suite named Château Angelus features a cozy and elegant décor with Stark designed furniture, a private terrace and heated hot tub. There is an open bathroom with a round bath tub. Luxury 4 stars Hotel right at the centre of Bordeaux, Le Boutique Hotel Bordeaux is a luxury design hotel oozing charm and as its name indicates. It is of contemporary design, made for comfort and wellbeing, where Bordeaux wine and stylish design come together. 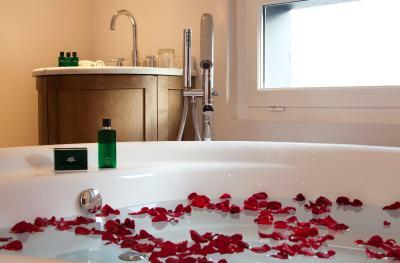 House Rules Le Boutique Hotel Bordeaux Centre takes special requests – add in the next step! Le Boutique Hotel Bordeaux Centre accepts these cards and reserves the right to temporarily hold an amount prior to arrival. Please note for bookings over EUR 1000, a 30% prepayment will be debited on your card by the hotel. Each room is individually decorated. Subject to availability, guests wishing to choose their room might contact the property in advance. Contact details can be found on the booking confirmation. The ambiance . The restaurant facilities were not very pleasent. Apart from the room which was quite small there wasn't any place to sit and relax. I thought it very expensive for what was offered. It was clean and the bed comfortable. Room very comfortable and quiet, staff brilliant and very helpful. Fabulous location. Room, wine, location and some staff! The atmosphere is so relaxing, and so different from other local establishments like the Grand (frosty, old fashioned) and the Best Western Bayonne ( so depressing). The stand out difference is the most excellent and friendly customer service - the staff are just brilliant!! THe elevator was a problem in taking luggage to 3rd floor. Very slow and unreliable. The hot water bottles were a nice touch. Lovely tapas at the bar. Was a bit disappointed with location. Said looking over the sq & isn't - but very close! The breakfast bacon was more fat than meat. No sliced bread. The aircon in the bedroom was not able to bring the temperature down enough.